A small area of western Pennsylvania around Pittsburgh has produced almost 25 percent of the modern era quarter­backs enshrined in the Pro Football Hall of Fame. That percentage is wildly disproportionate to the number of superstar quarterbacks any one state might claim, let alone a mere sliver of a state—an area representing just one-fifth of one percent of the total country. 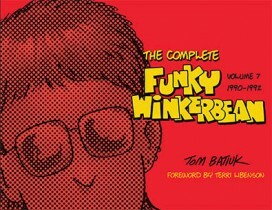 In this seventh volume, we see the changes in tone that now characterize Funky Winkerbean. Funky becomes more of a reality-based comic strip that depicts contemporary issues in a thought-provoking and sensitive manner. 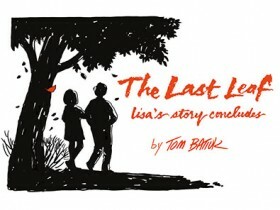 In 1992 Tom Batiuk did something even more radical: he rebooted and restructured the strip, establishing that the characters had graduated from high school. From then on the series progresses in real time. 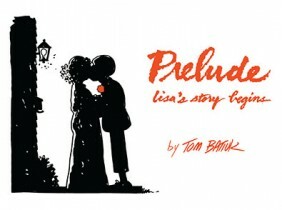 Prelude is a collection of the early comic strips that bring Lisa and Les together. Introduced to readers of Funky Winkerbean in late 1984 as she experiences SAT test anxiety, Lisa becomes Les Moore’s best friend and a pivotal character. Les and Lisa go to the prom, begin steady dating, and then break up. Over the summer, Les realizes how much he misses Lisa. When he gathers his courage and goes to her house, he is stunned to discover Lisa is pregnant with a child fathered by a jock from Walnut Tech. Lisa asks Les to be her coach in childbirth classes, and their friendship explodes from there. 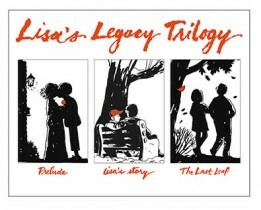 Prelude takes fans from the early days of their deep friendship through the birth of Lisa’s baby and the baby’s adoption. In the first edition of Classic Pens readers were reminded of the franchise’s most memorable contests, from its beginnings in the 1960s through the 2010s. This new edition brings the team’s standout games up to date, including their triumphant 2016 Stanley Cup victory.